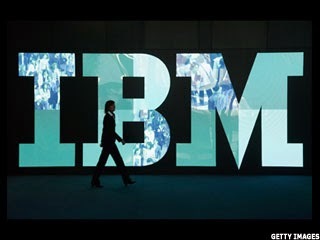 IBM has decided to take a legal recourse against the tax department’s demand of Rs 5,357 crore ($865 million) for alleged suppression of its FY09 revenue by the India unit. An income tax department official told Business Standard a preliminary assessment order was slapped on IBM on Monday for under-reporting its income. He said the company, which is assessed at the Large Taxpayers’ Unit in Bangalore, had the option of challenging the order before appellate authorities. The I-T Department had issued the notice after a detailed investigation, during which the department supposedly found that IBM India under-reported its income to evade tax under the export promotion scheme of the Software Technology Parks of India (STPI). Information technology units in STPI zones enjoy 100 per cent tax exemption on income generated from software exports as defined in the Income Tax Act. These also enjoy a tax holiday under section 10AA of the I-T Act if the units are in a SEZ. According to a July 2012 Fitch report, IBM India had reported revenues of Rs 15,413 crore with a net profit of Rs 1,290 crore in FY11. According to industry estimates, the company might have crossed the Rs 16,000-crore (around $2.5-billion) mark. The company is one of the largest employers in the country, with its headcount expected to have crossed 120,000. The fresh tax demand comes at a time when Infosys has agreed to pay $34 million (Rs 210 crore) for a civil settlement of visa misuse-related investigations in the US. Industry experts said this might pave the way for other Indian IT firms to come under the scanner of US authorities over usage of business visas. collect the amount from IBM India. IT units located in STPI zones enjoys 100% tax exemption on income generated from software exports as defined in section 10A and 10B of the Income Tax Act 1961. They also enjoy tax holiday under section 10AA of the I-T Act if they are located in a SEZ. headcount expected to have crossed 120,000. In India, IBM’s operations include four broad segments including global business services, systems & technology group, software group and global technology services.